If you have any information about these crimes or any person(s) involved, you are urged to call Crime Stoppers or submit a Web Tip. 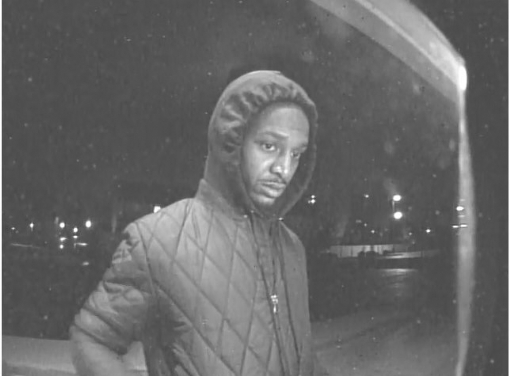 You do not have to give your name CRIME STOPPERS will pay a cash reward of up to $2500 and you can remain anonymous. 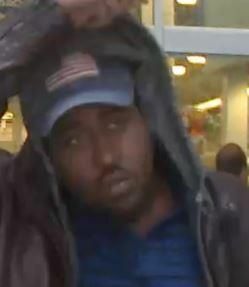 Police need your help identifying suspects in a credit card theft/misuse. The victim`s credit card info was used to purchase several money orders at a Meijer store in Toledo. 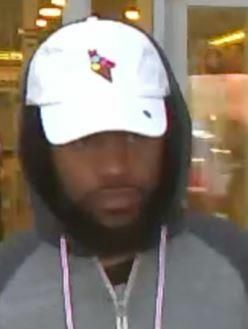 The suspects were also able to access the victim`s bank info via a mobile device. 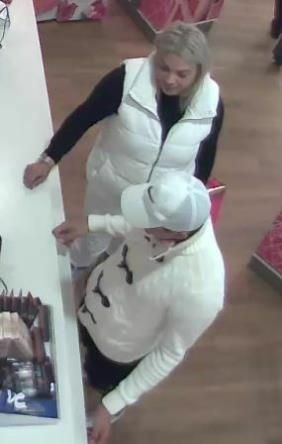 If anyone can identify either suspect contact Crime Stoppers. 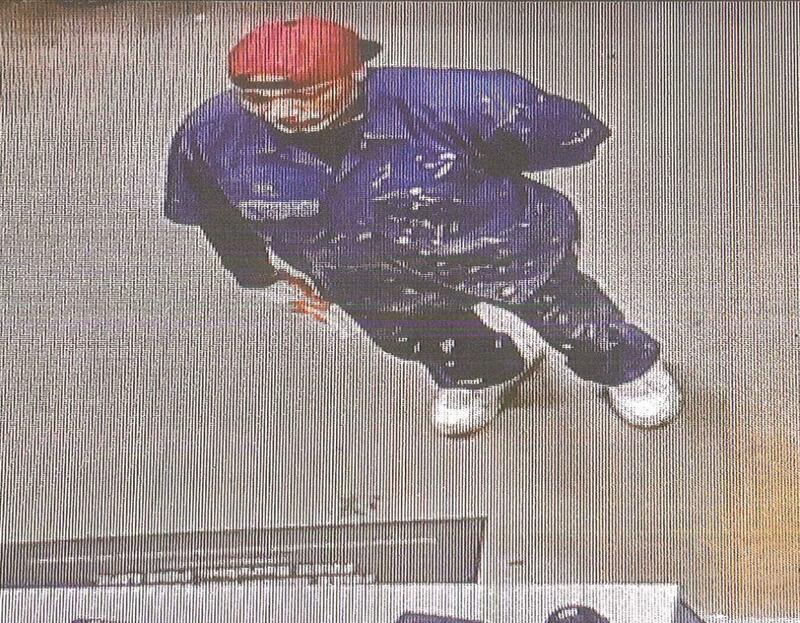 Wanted For: On 02/12/17 we had theft of a purse from a church on Granger Road. Credit card was used at Sunoco in Garfield Hts and Sunoco ATM in Maple Hts. 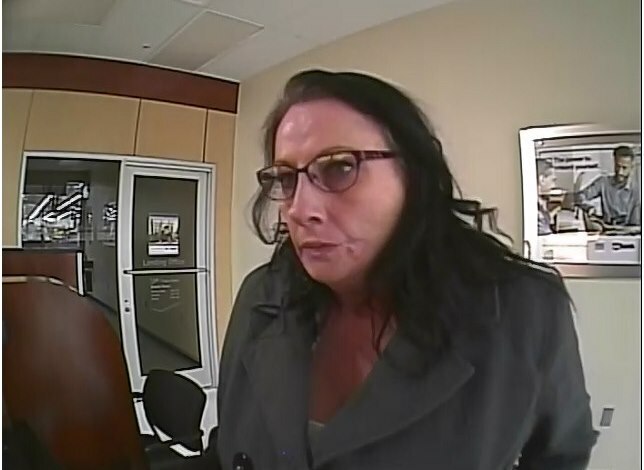 Wanted For: Police need your help identifying this woman. 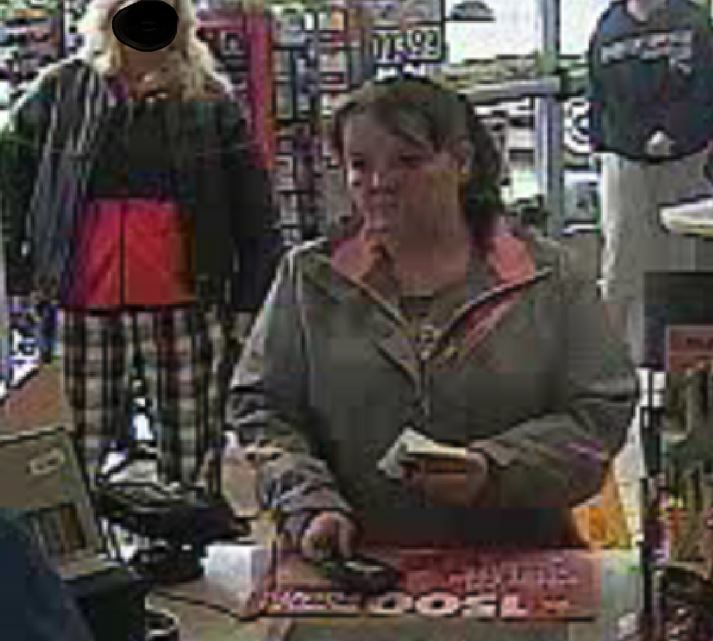 She is suspected of using a victim's identity and account information to steal over $19,000 from the victim's accounts. This happened over a two (2) day span of January 3 to January 4 of this year at institutions in the Parma area. If you can identify her please contact Crime Stoppers. As always if your information leads to an arrest and/or indictment you are eligible for a cash reward. 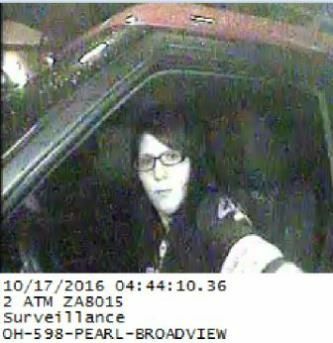 On 11/01/2016, an unknown white male went into the Beachwood Chase branch located on Chagrin Blvd. 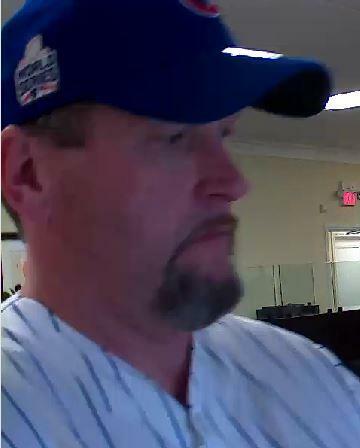 and withdrew $4,550 from the victim`s bank account using fraudulent driver`s license and cloned card. 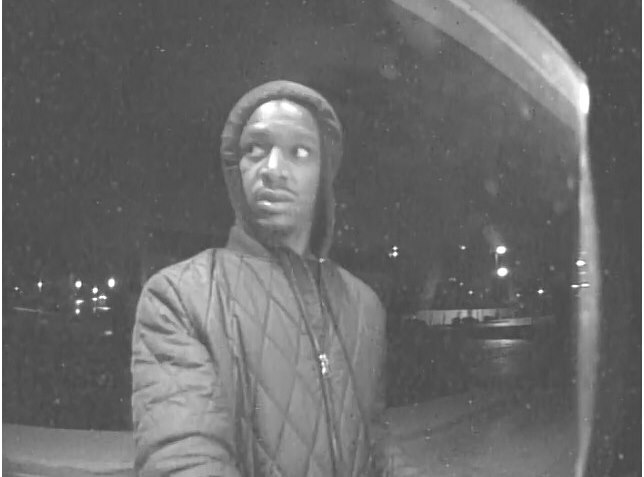 This male cashed stolen checks from a burglary. Recognize him? Call Crime Stoppers and remain anonymous. 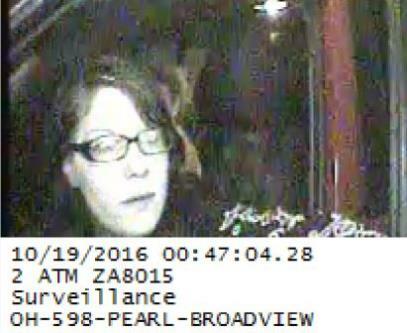 On 11/17/16 a Lakewood resident reported her purse stolen from her vehicle. 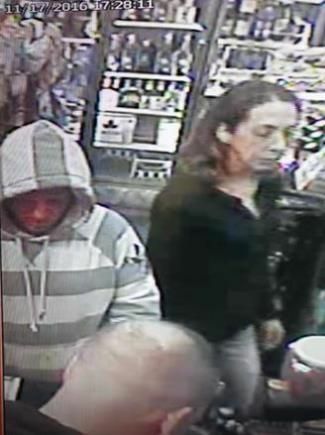 The suspects were captured on video using a stolen credit card on 11/17/16 (5:28pm) at Sam’s Beverage to purchase two carton’s of Newport non-menthol Red 100’s cigarettes. 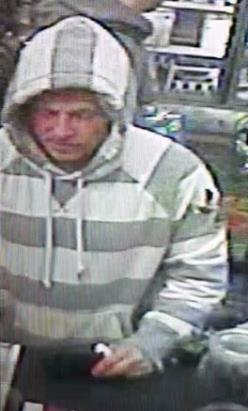 SUSPECT #1: White male, 5’6” to 5’8”, 180-190 lbs, stocky build, 40’s, wearing a gray and white striped hooded sweatshirt. 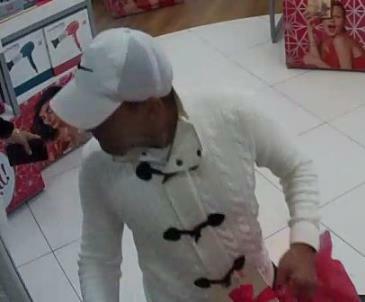 The picture is the suspect who used a cloned credit card at Ridgepark Square and Crocker Park. 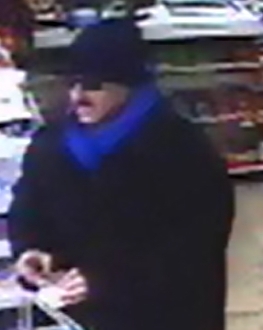 If he looks like somebody you know, please let us know. 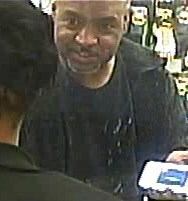 On 10-24-16 the victim reported his credit card stolen sometime between 10-11-16 and 10-20-16. He became aware of his stolen card when his bank notified him of overdraft fees. 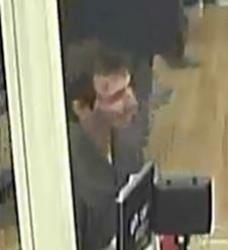 The credit card was used by the suspect shown at an ATMlocated at 4221 Pearl Rd. 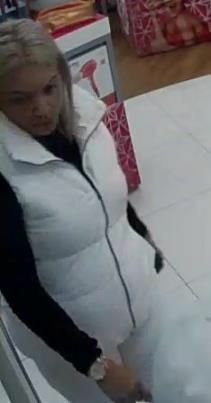 If anyone recognizes this female please contact Crime Stoppers. The two parties at the register dressed in white are using a cloned credit card at Ulta in North Olmsted. 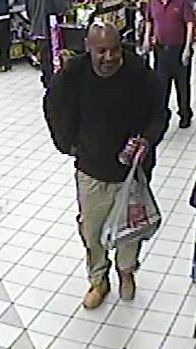 If anyone can identify please contact Crime Stoppers. 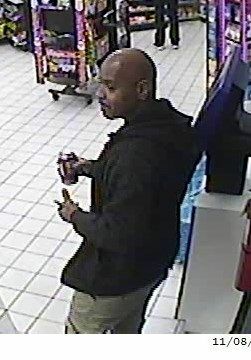 These are photos of a suspect using a victim`s credit card at the Speedway at 18501 Nottingham Rd. on 11/08/16 at 6:53AM. He is driving what appears to be the stolen vehicle Our victim`s Giant Eagle card was found inside of the recovered vehicle as well.